The Texas Longhorns host the Maryland Terrapins at Darrell K. Royal-Texas Memorial Stadium/Jamail Field on Saturday, September 2, 2017. The opening line for this game has Texas as 17.5 point favorites. The Longhorns had an over/under record of 4-8-0 and they were 6-6-0 against the spread last year. The Terrapins had an ATS record of 4-9-0 while their over/under record was 5-8-0. The Maryland Terrapins ran for 2,594 yards as a team last year, which ranked 43rd in college football. They ran 533 times, averaging 4.9 yards per carry as a rushing unit. The Terrapins were penalized on offense 88 times for 789 yards last season, which had them 33rd in the country in penalties. They were 78th in the nation in points scored with 335. They ran 875 plays last season for 2,317 yards, which ranked them 102nd in Division 1 in total offense. The Terrapins averaged 5.6 yards per play, which was 77th in college football. As a team they accumulated a total of 237 1st downs last year, placing them 103rd overall as an offensive unit. Caleb Henderson is expected to get his first career start for Maryland. The Terrapins rush defense allowed 586 attempts for 2,792 yards last year, putting them in 104th place in D-1 against the run. Maryland committed 81 penalties for 732 yards on the defensive side of the ball last season. That ranked them 82nd in college football. They were 82nd in the nation in points allowed on defense with 384. They surrendered a total of 5,552 yards on D, which was 92nd in the country. The Terrapins were ranked 63rd in yards per play allowed with 5.7. Opposing offenses completed 221 passes on 394 attempts against the Maryland Terrapins defense last season, placing them 45th and 51st in Division 1. The Maryland pass defense also gave up a total of 2,760 yards through the air, which was 45th overall in total pass defense. The Longhorns were 60th in the country in points scored with 383 last season. They ran 997 plays last year for 3,024 yards, which ranked them 61st in Division 1 in total offense. The Texas Longhorns averaged 5.9 yards per play, which was 61st in the nation. As a team they accumulated a total of 302 1st downs last season, ranking them 28th overall as an offensive unit. On the ground Texas ran for 2,882 yards, which ranked 23rd in college football. They ran 595 times, averaging 4.8 yards per rush as a unit. The Longhorns were penalized on offense 85 times for 769 yards last year, which had them 41st in the country in penalties. 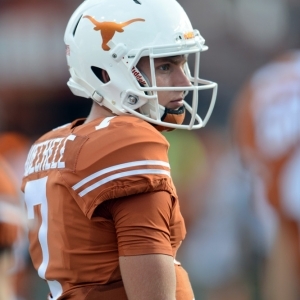 Shane Buechele passed for 2,958 yards last year. He completed 236 throws while attempting 391 passes for a completion percentage of 60.4%. His quarterback rating last season was 136. He averaged 7.4 adjusted yards per throw and 7.6 yards per pass attempt. Texas was 80th in the country in points surrendered on defense with 378 last year. They gave up a total of 5,386 yards on D, which was 77th in D-1. The Longhorns were 66th in yards per play allowed with 5.7. Opponent offenses completed 246 throws on 406 attempts against the Texas defense last season, ranking them 78th and 59th in the nation. The Texas Longhorns pass defense also surrendered a total of 3,102 yards in the air, which was 85th overall in total pass defense. Their rushing defense gave up 548 attempts for 2,284 yards last season, putting them in 71st place in the country against the run. The Longhorns had 83 penalties for 738 yards on defense last year. That placed them 84th in college football.